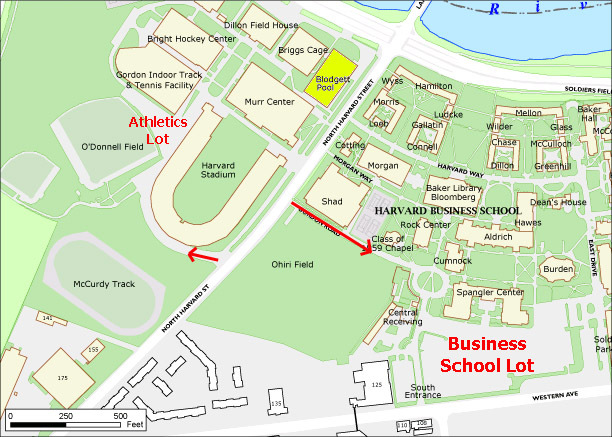 Parking will be available in the Harvard Athletics parking area for a cost of $10 per car, or in the Harvard Business School lot for a cost of $5 per car. Please follow the instructions of the parking attendant. STREET PARKING: There is limited street parking available on North Harvard Street. HANDICAP PARKING: Cars with a valid handicap plate or tag may park in the designated handicap spots between the Harvard Stadium and the Gordon Indoor Track & Tennis Facility.